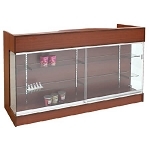 Our Maple Ledgetop Showcase Counter is lovely in appearance as well as a highly functional piece of store equipment for your business. 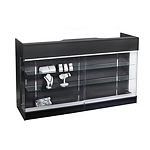 Fill up the front showcase with eye catching merchandise such as jewelry, electronics, pottery and more for customers to ogle over as they shop for those last minute items while are checking out. 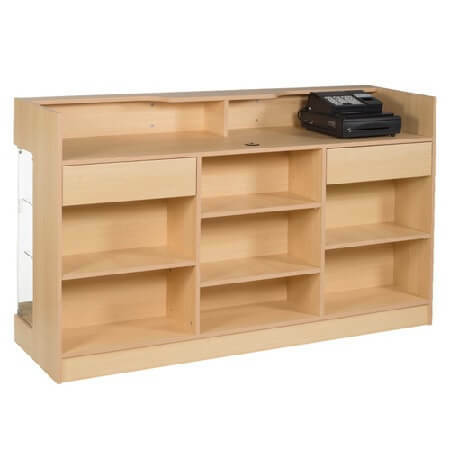 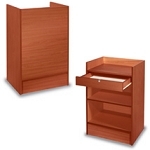 Included are two drawers and four adjustable shelves in the back for you to keep restocking easy and convenient. 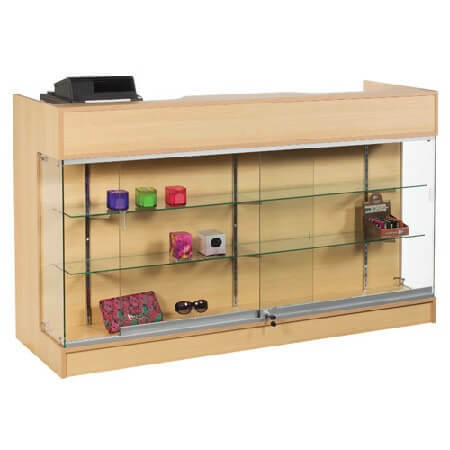 Order this checkout counter today!